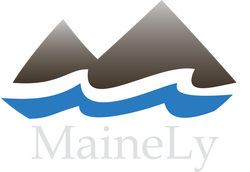 MaineLy Property Management specializes in all things Real Estate related! We manage over 500+ units in residential and commercial real estate in the Greater Portland and Biddeford area. Locally owned and operated since 2001. We will beat any competitors prices and manage your buildings as if they were our own. We manage single-family rentals, multi-family homes, condo associations, condo units and up to 50+ unit complexes. Our service area includes Biddeford, Saco, Old Orchard Beach, Scarborough, South Portland, Portland, Westbrook, and surrounding areas. Whether you need us to manage your entire real estate portfolio, rent a single unit, or even just handle your maintenance; we are the team you're looking for. Contact MaineLy today if you have any questions or even just want some rental advice!